I can imagine that to outsiders looking in, my Instagram feed looks strange. What we consider homeschooling doesn’t look like schooling at all. Where are the text books? Where are the worksheets? And how is going to the gun range “schooling” at all? The whole gun range rant is for another post. But in essence, the truth is: If I wanted to recreate “school” at home I may as well send them to school and save me the trouble. If “school” was producing such great results, with amazing prodigies in science, sports, and art, our education would rank higher than that of other countries, and our college graduates a much more formidable force in the competitive labor market across the world. But it doesn’t. I’m not saying that there aren’t children who do absolutely amazing in public school – because there are. However, I would argue that succeeding at Public School is not necessarily equivalent with being a successful individual. Being uninhibited in kindness and compassion is a big priority for my children. They are very tenderhearted, and I don’t want them to be “toughened up” by bullying. I don’t want them to learn through peer influence and unsupervised socialization to be callous, or rude. As a result, at this time public school is not the best choice for them. My kids are argumentative and struggle with submitting to authority. There is (believe it or not) a benefit to this: they don’t accept any information at face value. Everything is questioned, researched, debated… from a history lesson to the chore of washing dishes. If I want the learning to be meaningful, they would benefit best from a Socratic approach to learning. And that’s just not a style of learning in most public or private schools. Creativity helps my children de-stress. It’s also how they express themselves. I’m sure there may be a charter school that would allow them to turn in their report in Manga form *somewhere*, but I haven’t found it. There are learning disabilities to consider! My kids aren’t behind as a result of ADHD but I also know that the way I work with them at home has helped them to not be handicapped by this condition. They can stand on their heads, pace back and forth, bounce a ball, and overall wiggle their way through all their learning assignments without being reprimanded for the inconvenience it would cause to the class. Homeschooling for the win! A strong family unit is by far the most influential and beneficial factor I could give my children. I don’t know whether they’ll be doctors or game programmers, but I know that they will grow up and be in relationships, get married and have children of their own (possibly). And regardless of what they do as a profession, they need to learn how to love their children and their spouses. Research shows they learn that from experiencing it at home, and I don’t think a few hours around the dinner table is enough. Am I a helicopter parent? A little bit. But there is science to back up that a happy heart leads to a smarter mind. Looking at each child as a unique individual and helping them feel joyful means that they will retain more of what they learn and *gasp* develop a LOVE for learning. Not learning for passing the test sake. Not learning for passing the class sake. Learning because knowledge is worth acquiring. This is why homeschooling looks different in every home, and it varies within the home from school year to school year. It’s fluid and organic as the students themselves. And it will provide very different results from what you might have experienced in other children. That’s the point. Help! I Don’t Know What Kind of Homeschooler I am! Confession: Even within the homeschooling community, there can be different “factions” – and some butting heads as a result. 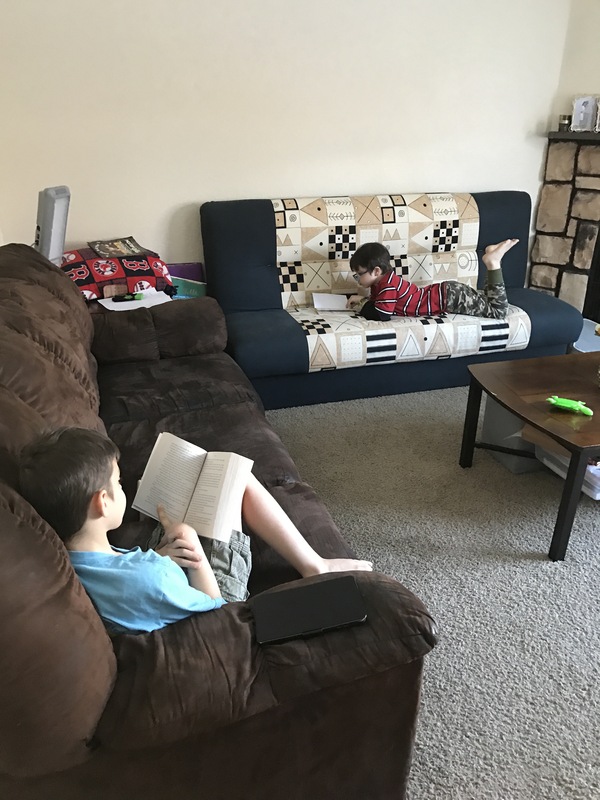 You’d think just the fact that we homeschool would set us apart from what appears to be EVERYONE else, but oh no – from here it’s just a whole new world of soccer-mom style Hunger Games, unless you know how to get along with every one. Beyond Bible-thumpers (or not), vaccine-haters (or not), special-needers (or not), we also have different schools of thought as to what “homeschooling should look like”. These go deeper than personal parenting styles or opinion – it’s practically our philosophy for learning! Don’t let it scare you too much – I will help you understand where these different moms are coming from, using myself as an example of how I fail at these miserably. 1. The “unschooler”: It’s easy to think of an “unschooler” as a mom who refuses to do school work with her kids. The end result is this mental image of a kid watching TV all day while mom sips a glass of wine, while other homeschooling moms are like, “Aren’t you going to have little Johnny LEARN SOMETHING! 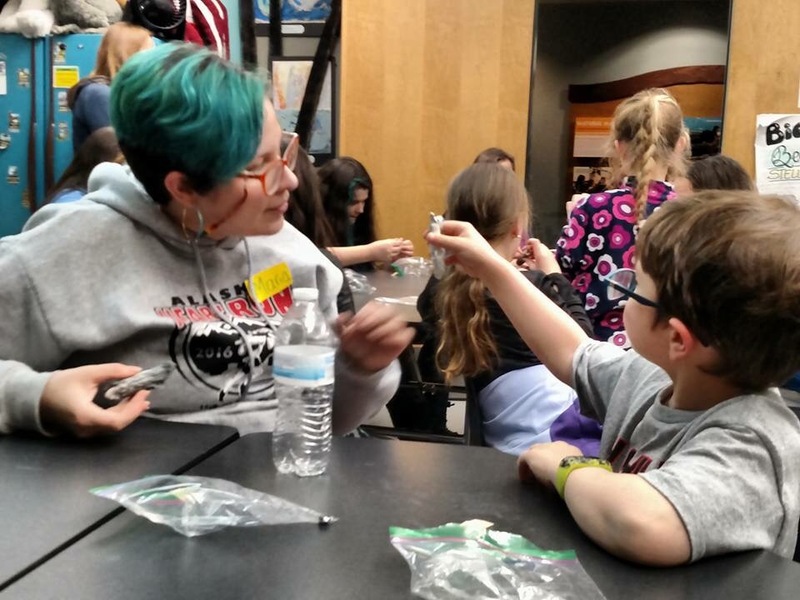 !” The reality is, unschooling is super successful but super difficult to do. It’s passing on a textbook in exchange of real-life application of that subject, like when I have my kids prepare a recipe to work on fractions and chemistry INSTEAD of doing them on Khan Academy. You literally have to make an opportunity out of EVERYTHING and constantly inspire research, trial and error, and curiosity. As hard as I try, I’m not above throwing a workbook at my kid and having him do a few pages so I can peruse Facebook for fifteen minutes (a.k.a. take a nap). 2. The Charlotte Mason Schooler: Charlotte Mason was a brilliant educator of her time and I think every homeschooling mom should read a few of her books. She always held the premise that children could surpass any educational expectation if properly nourished. She advocated for reading, and read alouds. Not Dr. Seuss, no, but The Odyssey or Hamlet – she did not believe in “age appropriate” reading, but rather that language development and imagination could have any child comprehend literary classics. She was also big on imagination, public speaking, and nature. I have decided I want to be Charlotte Mason when I grow up! However with three children in different stages I am not as involved as this requires. 3. The Public School Equivalent Schooler: These are the moms that do public school curriculum at home. They basically work through workbooks, text books, and pre-set boxed materials from page 1 until it ends. They feel they have to prove their homeschooling worth by having their children meet or surpass their peers in public school. I started off this way because I didn’t know any better, and now I continue this way because my OCD does NOT allow me to reach the end of the year and leave a textbook unfinished. That drives me nuts! 5. The Unit Study Schooler: These moms simply their lives by working on one subject at a time – and employing all other learning materials around that subject. For example, as we are participating in the Idita-READ and learning about the Iditarod, we may read books on the subject, paint Alaska inspired art, trim the dog’s nails, calculate average speed for mushers, and write opinion pieces for our favorite musher. Thus, for the whole week, we’re doing everything around this theme as long as it captures the kid’s attention; math, writing, reading, science, and history. This is where I’ve been leaning more lately, mainly because I haven’t planned a lesson in weeks and I’m just running with it. All this to say, no homeschooling mom is perfect! We’re all crazy over our kids – there’s no competition! So the best way to approach these fierce moms as they do homeschooling life (and it seems odd to you) is to appreciate that there is in fact a method to their madness. It’s a beautiful thing to be able to pick and choose how we’re going to homeschool based on what is best for each kid and for this season, with the flexibility to adjust as we move along.